In the midst of the chaotic campaign period, this aspiring senator took some time to visit his alleged long lost brother. 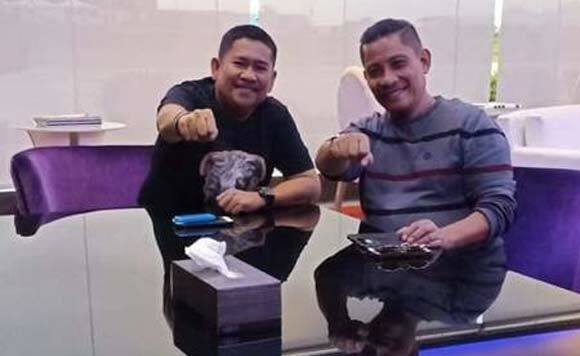 Running senator Zajid “Dong” Mangudadatu recently reunited with his ka-look-alike, renowned TV chef Pablo “Boy” Logro. On his Facebook page, the Mindanaoan Politiko shared photos and video clips from their encounter after the televised senatorial debate on GMA 7. “Chef Boy Logro, my long lost brother. Finally, nagkita na rin kami. Sabi nila magkamukha daw kaming dalawa. Totoo nga!”, he captioned his post in jest. Mr. Mangudadatu is running under Partido Demokratiko Pilipino-Lakas ng Bayan, and has received support from presidential daughter Inday Sara Duterte and President Duterte himself. PRRD previously attested that Mr. Dong will be a good Muslim representative in the Senate. If he wins, he will be the first Muslim senator in 20 years.